What is Fixed Asset Turnover? Fixed Asset Turnover (FAT) is an efficiency ratio that indicates how well or efficiently the business uses fixed assets to generate sales. 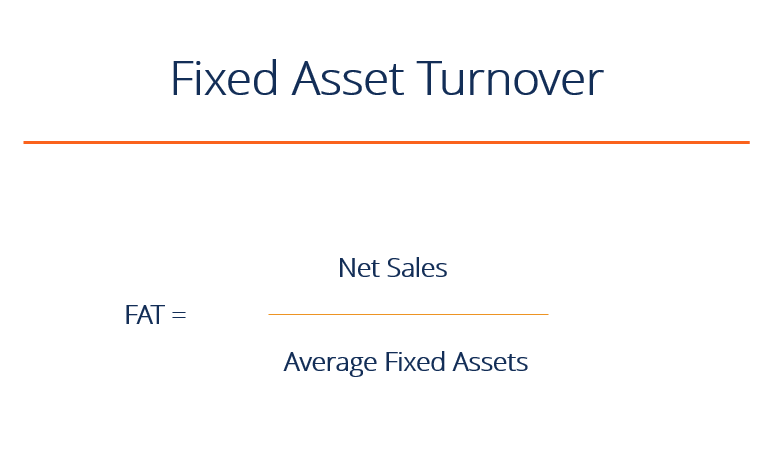 This ratio divides net sales by net fixed assets, over an annual period. The net fixed assets include the amount of property, plant, and equipmentPP&E (Property, Plant and Equipment)PP&E (Property, Plant, and Equipment) is one of the core non-current assets found on the balance sheet. PP&E is impacted by Capex, Depreciation and Acquisitions/Dispositions of fixed assets. These assets play a key part in the financial planning and analysis of a company’s operations and future expenditures, less the accumulated depreciation. Generally, a higher fixed asset ratio implies more effective utilization of investments in fixed assets to generate revenue. This ratio is often analyzed alongside leverageLeverage RatiosA leverage ratio indicates the level of debt incurred by a business entity against several other accounts in its balance sheet, income statement, or cash flow statement. Leverage ratios include debt/equity, debt/capital, debt/assets, debt/EBITDA, and interest coverage. This guide has exmaples and Excel template and profitability ratios. Learn more ratios in CFI’s financial analysis fundamentals course! Fisher Company has annual gross sales of $10M in the year 2015, with sales returns and allowances of $10,000. Its net fixed assets’ beginning balance was $1M, while the year-end balance amounts to $1.1M. Based on the given figures, the fixed asset turnover ratio for the year is 9.51, meaning that for every one dollar invested in fixed assets, a return of almost ten dollars is earned. The average net fixed asset figure is calculated by adding the beginning and ending balances, then dividing that number by 2. 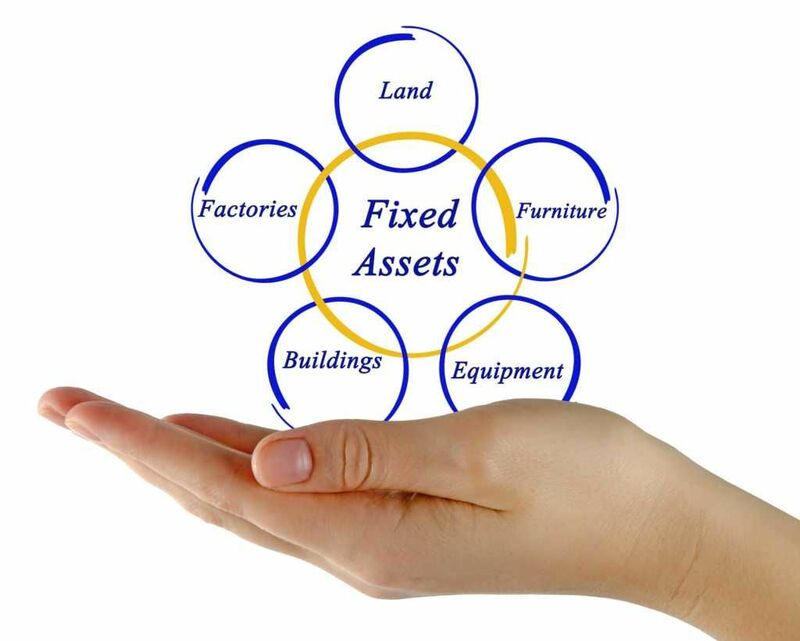 Fixed assets are tangible long-term or non-current assets used in the course of business to aid in generating revenue. These include real properties, such as land and buildings, machinery and equipment, furniture and fixtures, and vehicles. They are subject to periodic depreciation, impairmentsGoodwill Impairment AccountingA Goodwill Impairment occurs when the value of goodwill on a company's balance sheet exceeds the tested accounting value by the auditors resulting in a write-down or impairment charge. Per accounting standards, goodwill should be carried as an asset and evaluated yearly. Companies should assess if an impairment is, and disposition. All of these are depreciated from the initial asset value periodically until they reach the end of their usefulness or retire. When the business is underperforming in sales and has a relative amount of fixed assets invested, the FAT ratio may be low. The return on fixed assets is not favorable with this low ratio, due to the fact that the amount of the investment made on property and equipment is the biggest among the asset categories; therefore, revenue generation is reliant upon these assets. This is especially true for manufacturing businesses that utilize big machines and facilities. Although not all low ratios are bad, if the company just made some new large purchases of fixed assets for modernization, the low FAT may have a negative connotation. A declining ratio may also suggest that the company is over-investing in its fixed assets. A high ratio, on the other hand, is preferred for most businesses. It indicates that there is a greater efficiency in regards to managing fixed assets; therefore, it gives higher returns on asset investments. There is no exact ratio or range to determine whether or not a company is efficient at generating revenue on such assets. This can only be discovered if a comparison is made between a company’s most recent ratio and previous periods or ratios of other similar businesses or industry standards. Fixed assets vary significantly from one company to another and from one industry to another, so it is relevant to compare ratios of similar types of businesses. How Useful is Fixed Asset Turnover ratio to Investors? Investors who are looking for investment opportunities in an industry with capital intensive businesses may find FAT useful in evaluating and measuring the return on money invested. This evaluation helps them make critical decisions on whether or not to continue investing, and it also determines how well a particular business is being run. It is likewise useful in analyzing a company’s growth to see if they are augmenting sales in proportion to their asset bases. To learn more about assets and financial analysis, see the following resources. Inventory TurnoverInventory TurnoverInventory turnover, or the inventory turnover ratio, is the number of times a business sells and replaces its stock of goods during a given period. It considers the cost of goods sold, relative to its average inventory for a year or in any a set period of time. Return on equityPar ValuePar Value is the nominal or face value of a bond, or stock, or coupon as indicated on a bond or stock certificate. It is a static value determined at the time of issuance and unlike market value, it doesn’t fluctuate on a regular basis.